The sun moved into Sagittarius Friday November 21. 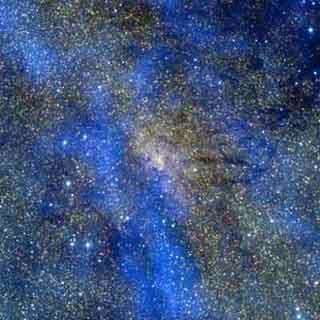 This links to the Eye of the Milky Way Galaxy, or the Galactic Center, which sends out signals that call souls home. If your birthday is on December 18th, you are aligned with the sun pointing to the Galactic Center; this includes Steven Spielberg, Brad Pitt, and my friend George Manning. 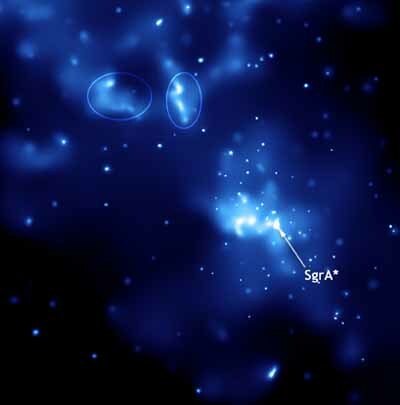 Sagittarius A, which coincides with a supermassive black hole. Wednesday evening Pat, Jane and I sat in Pat's car near the Verrazano Bridge - somewhere around midnight after an evening out with the girls. We noticed a portal opening above the water in front of us. It looked like something from a sci fi movie. I saw fireworks and the statue of liberty, which are Masonic Symbols for closure. I found myself at a fourth of July celebration, on a clear summer afternoon, seated at the head of a very long rectangular table with a red and white checkered table cloth. A woman walked up to me. She handed me something on a silver platter - a birthday cake. The icing on the cake was white (metaphors) with many lit candles. Jane, who also lives facing the bridge, spoke about a recent dream in which people were running across the bridge as it collapsed and they all fell into the water (metaphors). I suddenly found myself alone on the planet (?) a feeling of total completion, staying behind to see that all was cleaned up and finished before I left. Once satisfied, a huge light came from the sky at a 1:00 angle, looking like a giant fire ball. It had a giant 'X' as it came close to me and I entered, feeling I had finished my work. There is much going on having to do with time and time travel now that you should be experiencing - the rest of the grid adventures irrelevant. These ripples in the grids are in preparation for closure and carry higher frequency sound, light and color codes. Thursday evening Mike and I went through a portal, so to speak, near the bridge outside, that took us to the Nazi grid program. He had never been there, so I let him guide the way. When we got there, something was shown that I had never seen, yet remembered ... trapped souls needing to be set free. "What do we do to get them out?" Mike asked. "Nothing," I replied. "Just open the light of time and consciousness and they will be guided." And so we did ... with such force it startled us. Endless trapped and tormented souls, most of whom had faced a horrific death, paused as the bright light reached them. Suddenly the exodus began ... the pathway to the light not nearly large enough to accommodate the souls. Mike felt as if they were trampling over him to get out and cried for their pain. "Step aside," I said to Mike. "This is going to take hours/ours and if I am right will have a ripple effect that is not clear to us yet." Oddly, I saw the souls of many gray aliens, who had obviously met a terrible fate at the hands of their human captors. Who knows what cross-breeding experiments went on in those years - and why the grays had decided to experiment on humans. So many unanswered questions ... I felt a need to discover more, but that is not my job. Before going to sleep at 8:00 PM, I called George to experience this with him. He was surprised and excited about what he saw, further validating the experience. Out I went for 10 hours - returning at 5:55 am, having odd dreams about the Great Pyramid. I remember meeting George at 3:00 AM (could be a metaphor) as we drove towards the top of the pyramid in an open jeep, meeting a couple along the way who had something to do with media. We stopped at a restaurant where Mother Mary greeted us, but spoke in a language that only George understood. (I'm here to close the program ... he's here for the next). As I woke up ... George and I had not reached the top of the pyramid, but were very close as we happily spiraled around it as if a mountain. My first very clear vision upon awakening here this morning ... was what had transpired in the 10 uninterrupted hours I was asleep. There before me was not just one source of light bringing souls home, but 12 around the source. As I watched, souls moved out of the program and back to source/consciousness. They move in spiral patterns. There are so many souls, moving so quickly, I have no idea where they experienced in the endless programs that exist and are now shutting down, nor do I need to know. My job here is to bring them home and shut it down. I explored this again with George before going to sleep, who validated what Mike and I had seen. Friday morning George and I discussed our dream time adventures. All he remembers was traveling ... lots of traveling. Saturday afternoon Ron and I checked out the flow of spirit energies. The opening to the 'portal' (the Black Liquid Eye of the Galactic Center) has expanded as endless souls return, many trapped for eternity. Ron and I journeyed beneath the physical surface of the planet to see if there was anything of relevance to be discovered. We started in Germany and found dusty references to old experiments, their programs now terminated. In Rome we moved through endless catacombs and discovered all sort artifacts, none of which seem relevant in light of evolving programs. France produced the same effect. From there we searched under the Giza Plateau ... nothing of interest. On we went across the globe stopping in Mexico and other power points that draw visitors to them each year based on their energies and enigmatic features ... nothing left. There's all sorts of underground entertainment to satisfy the archaeologist in each of us, but nothing noteworthy if you are looking for higher knowledge - not even a buried UFO. They are not in our part of the grid, which is about opening the doors of higher consciousness. Ron and I discovered two underground facilities that are active. They are not ancient, but quite modern. One is located far beneath the Pentagon in DC and the other way beneath Ground Zero in New York City. Something suddenly came clear to us. One of the reasons for the attacks on 9/11 was somehow linked to the destruction of these facilities.